Imagine flying to South Africa to an off the grid farm to indulge all your senses in a ten day retreat of a celebration of life. 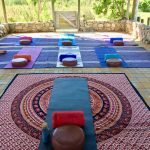 This opportunity exists for eight people only to immerse themselves in yoga, meditation, adventures, and laughter with a deep appreciation of the natural surroundings. From when you are picked up at the airport your exclusive tailored journey begins. 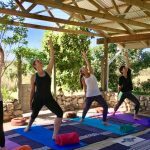 Start your day with a morning dedicated to your yoga practice followed by an afternoon enjoying the delights of the garden route with exciting, fun-filled activities. 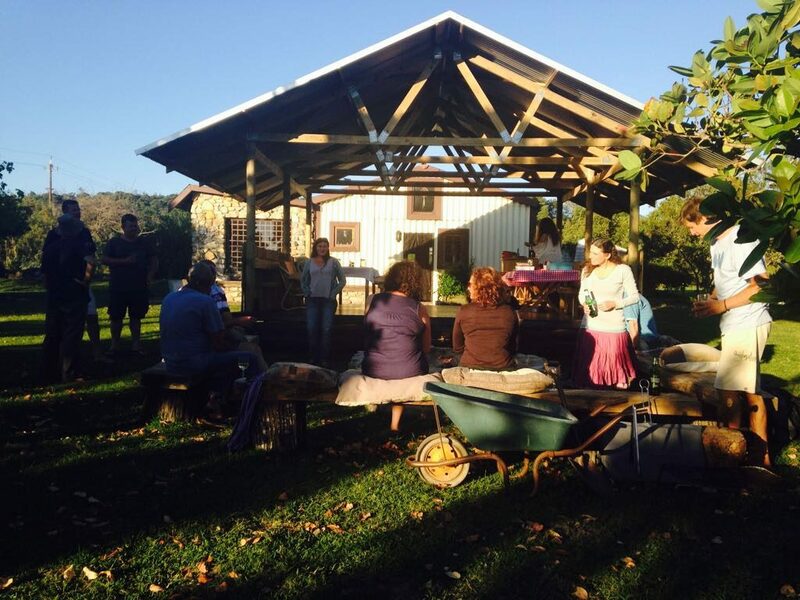 Imagine ending your day around a fire under the stars chatting with new friends having enjoyed freshly cooked and picked scrumptious vegetarian meals, a true journey from seed to table. Come join us and be part of this African Yoga Adventure an experience not to be missed. Return home at peace, feeling refreshed in your body having released any tension. Restore your mind, body, and soul through meditation, yoga and fun filled activities. Take some time to focus on you, your Yoga practice and appreciate nature. There are three options based on the type of accommodation you choose. Access to WIFI from the main house only. Protea our largest cottage offering two spacious bedrooms both of which are en-suite. Each room is tastefully furnished and sleeps a maximum of two persons. There are two single beds in each room. A central open-plan kitchen and lounge area open up onto a sunny wooden deck overlooking the dam. Dragonfly Cottage is open, planned in an L shape with two singles at one end and a single cabin bed around the corner. 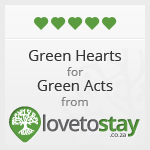 Shared bathroom facilities, separate room with shower and toilet in addition to a dressing area with a bath tucked up against a picture window looking into the fynbos. There is also an outdoor-shower with hot water. The living/kitchen area comes fully equipped with a wood-burning stove for colder nights all opening onto a covered verandah overlooking the dam. A double bed makes it perfect for a single person. Ablution facilities are however shared with Dragonfly Cottage using a separate entrance. You can also avail of the outdoor-shower with hot water. 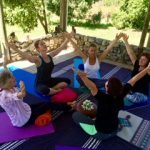 This retreat offers the best of both worlds, to practice yoga on a daily basis whilst enjoying a program of handpicked activities that will give you a taste of South Africa. 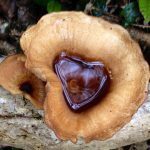 It allows you to really engross yourself in a journey that will reconnect your body, mind and spirit during a joyful, heart-centered spiritual experience in the Knysna forest. 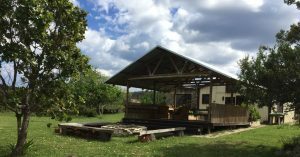 TreeSpirit is an off the grid small holding where we grow our own food, capture our water and harvest the sun to provide our energy. 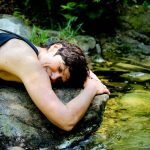 To stay at Tree Spirit is an opportunity to experience this way of living, being conscious of water usage, where food comes from and working with the elements. 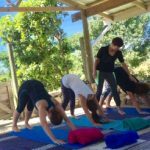 This all-inclusive retreat is about finding the joy through practice and play whilst at the same time immersing yourself in the beauty of the natural surroundings. If all this resonates with you then this charming, peaceful, secluded piece of paradise awaits you. 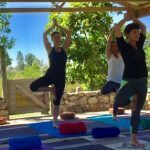 The daily routine for your time at TreeSpirit will be set to a certain extent in that on all days you will have yoga and the option to join in the daily excursion. All excursions are included in the package however they are not mandatory. There may be a time where you want to sit one out and that is absolutely fine. 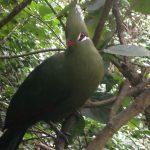 Koereina will also be available for Reiki sessions which are an optional extra. Yoga will mostly be in the mornings however on certain days such as the craft market and the guided safari, yoga will then move to the afternoon. There is a lot to see and do with hikes both in the forest and coastal with stunning flowers and views. 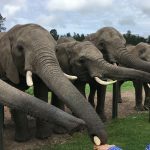 Birds of Eden is amazing being the largest amphitheater in the world and to be up and close to the elephants and feed them is an experience you will never forget. 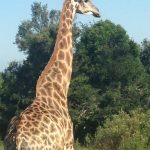 We have chosen the activities based on what people have enjoyed the most in the past and it offers a varied time here in South Africa. Koeriena is a yoga teacher, Reiki master and artist based in Gouna where she draws her inspiration from nature. 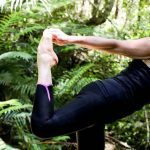 Her style is Hatha Yoga inspired by Vanda Scaraveilli, a gentle yet powerful approach focused on awakening the spine through breath and gravity. Having dedicated 30 years to her practice and experienced the amazing benefits first hand she completed her 200 and 300 level YAI at Karen Ingman School of Scaravelli Yoga. She teaches from her studio in the Gouna forest and is also connected to Lotus Studio in Knysna. Her teaching is open to all levels of practitioners young or old. Koeriena believes the breath is the essence of yoga which allows deep surrender with the benefits of lightness and ease to the body and mind. Our physical, mental and emotional blocks begin to dissolve and we can move into our yoga practice with freedom. Yoga is truly a journey of discovery. The Hive is the newest addition at Tree Spirit and we hope for this space to a hive of activity. 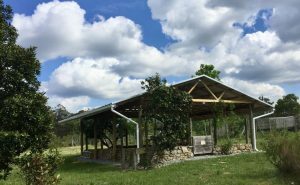 This covered rustic, organic area positioned between the cottages and the dining area will be where your daily Yoga practice takes place. 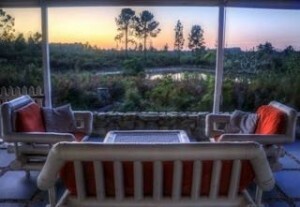 A space that can be fully open offering stunning views and a sense of being one with nature. The Barn is the hub of the farm where all the cooking is done and home to Ant & Fi. A large covered deck with blinds to provide protection and create a cozy experience during inclement weather. This is an excellent communal space for groups to meet and enjoy freshly produced and prepared food. In addition there is also a fire pit to indulge in alfresco dining under the stars. A detailed description of accommodation available for groups is outlined in the Cottage Rental section of this site. There are different options available from queen en-suite, twin en-suite, open planned shared sleeping and bathroom (max 3) and a separate free standing room with shared bathroom facilities. 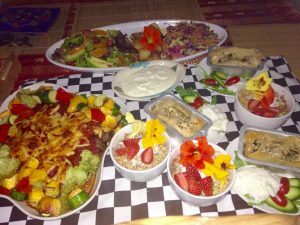 All meals are prepared by Fiona who trained at Tante Marie Cookery School in the UK and escaped the restaurant scene to settle in Knysna. The result: delicious organic vegetarian meals created from home grown produce cooked on a wood-burning stove. It is a passion to prepare meals that are both pleasing to the eye and pallet using lots of fresh herbs and spices. I am also happy to assist and accommodate with any allergies you may have. Previous guests have said that they felt they were on a food safari and it was also a highlight of their time here. To book simply complete and return the booking form below specifying the type of accommodation you require. As we only have limited en-suite rooms available booking will be on a first come basis. Once you are happy with the details a 50% deposit will be required to secure your place, with the outstanding balance of payment due 30 days prior to the retreat start date. Payment can be made via the Paypal button below or alternatively an EFT payment, details also below. Please note we have no credit card facilities on the farm. Or to make a payment via PayPal click below and follow instructions. I simply had to write to you to thank you so much for hosting the incredible spiritual retreat that I attended recently, in October. Everything certainly lived up to the descriptions on your site and in the tourism information – except ….. that I would go much further than that, to say that my expectations were exceeded in every way imaginable. I enjoyed everything about being there – starting with being picked up by you, Anthony. You are so very organized, friendly, flexible, and interesting. You were the perfect guide to the beautiful surrounding forests and activities available in this stunning area of our world. You were so knowledgeable, patient, and such good company as you drove us around, and even worked out a way to meet unanticipated special requests. I was amazed when we were out somewhere for quite a while one day when you even cracked open a box of wonderful homemade muffins from Fi – yum – what a lovely surprise that was. The space you have there is absolutely idyllic and peaceful and was just perfect for our group encounter. It’s such a great set-up – where you are close enough for togetherness, and yet with enough space for some separateness too. 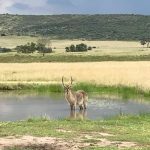 I really enjoyed the company of your animals, especially the dogs and donkeys, and I’m not usually a “dog person.” The cottages were gorgeous and very comfortable, and I loved Dragonfly cottage, where I meditated on the deck overlooking the dam each morning. It was cold when I arrived, but I was greeted by a lit fire which had warmed the place up a treat, and was so welcoming. Another highlight for me though, I have to say, was the food – oh my goodness! I have a serious love of food, as you may have gathered 😉 , but the food was so amazingly delicious, varied, and generous that my famous stomach and taste-buds could not have been more satisfied. And as for you, Fiona, you truly are an incredible lady and such a powerhouse of organization and anticipating everyone’s’ needs. I absolutely LOVED your cooking (as if you couldn’t tell), but also your company and your fabulous sense of humour. I am, frankly, a little in awe of you. I have to give a special shout-out to your chocolate brownies, and I’d really love the recipe. You work so well together as a couple and provide something really special there, to the point that it was more like being spoiled by good friends. If I ever make it back there, I really wouldn’t consider staying anywhere else. My apologies if my thank you is a bit long, but I really can’t say enough about how much I enjoyed my whole experience in South Africa, and that was in no small part due to the two of you and your gorgeous home. I visited Tree Spirit Cottages in October 2018 for a retreat. When Antony greeted me at the airport with his big joyful smile, any doubts of visiting the country for the first time and the fatigue from numerous hours of flying just vanished. The drive to the farm overlooking the majestic mountains and valleys was simply breathtaking and a treat in itself, which we did everyday. The minute I reached the farm, I felt as if I was in a different world. The pristine air, abundance of plants, birds and animals filled me completely and in a few hours became my new normal! The days that followed were packed with so many fulfilling, exciting, joyful, grounding (the list goes on) experiences that it will be hard to describe in a few lines. The fondest of all my memories were waking up to the gorgeous South African sunrise (which I have seen only on TV – National Geographic before) right from my bed. 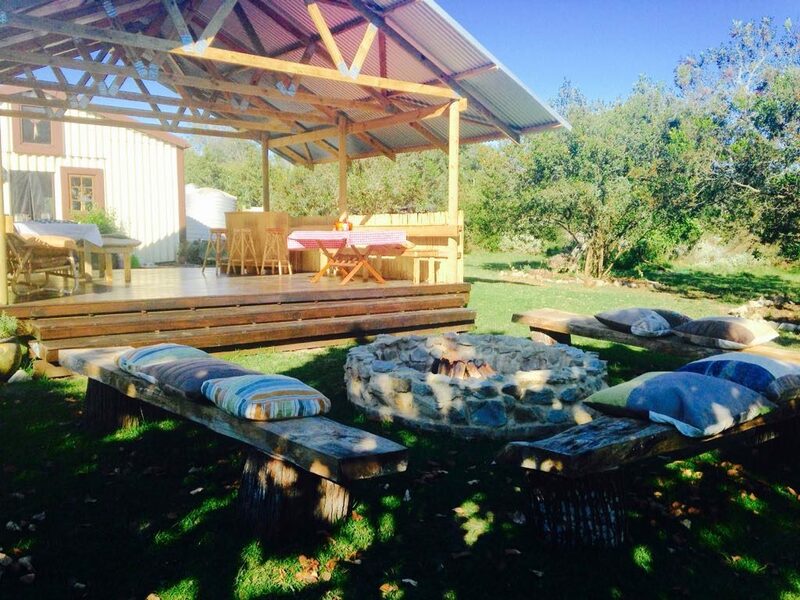 The delicious earthy meals and picnics by Fiona, having profound conversations with Antony on our day trips, taking in the bustling sounds and sights of birds, chickens and Bam Bam around the farm. And finally retiring to the cottage warmed by the wood stove at the end of the day. Hospitality of the hosts and the powerful existence of mother nature ruled every minute. Apart from the farm itself, it felt like I met a couple of my long lost friends in Ant and Fi. To hear that they left their corporate careers and followed their heart to create a conscious life and be stewards of the earth, raises my hope for our planet and better times to come.